Also this year, as usual, it will be the wine and food tour around Valle Bagnario. 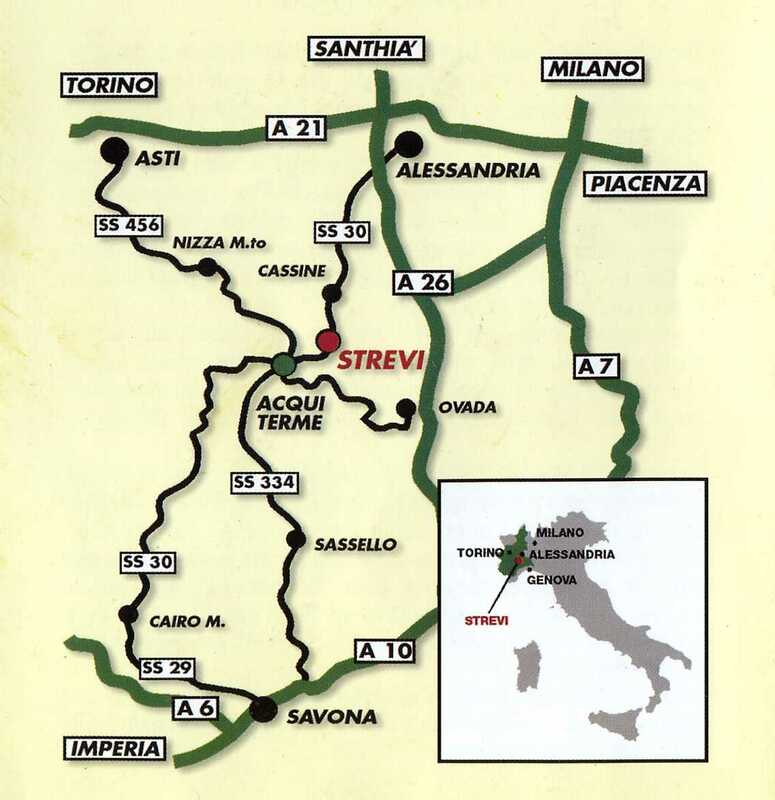 The little town of Strevi bounds its history and its fortune to the wine and in particolar to the moscato wine. The heart of this great wine production it's located in a wonderful wining land of Strevi, denominated Valle Bagnario. In this beautiful hills blessed with the warm sun, with a clay, chalky and calcareous soil structure some selected vineyards produce a meditation wine, whose scented fragrance and refinement inspired a project aimed to preserve antique flavour and revaluate the territory, that became tangibile with the constitution oh the Presidio of Moscato Passito of Strevi's Valle Bagnario. It was created in the year 2000, thnks to the appassionate work of some producers, who drafted rules of production in order to respect and mantain the rustic traditional technique, that allow to realize a great wine, defined as the Chateau d'Iquiem of Piemonte. 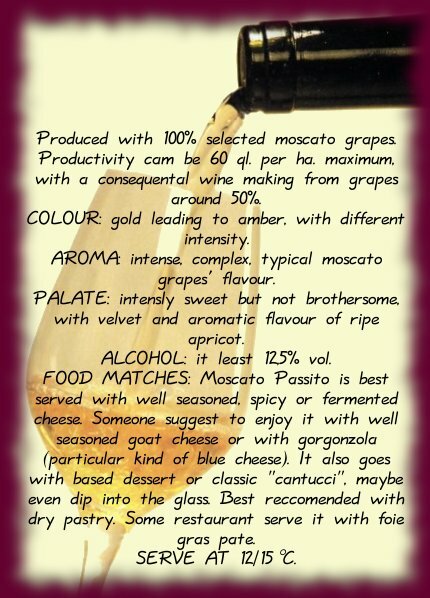 To create this Moscato Passito the flower of the grape harvest is used, wealthier grapes are chosen to be laid on grating for almost 30/40 days to the direct sunrays or in the shadow of the "fruttaia". 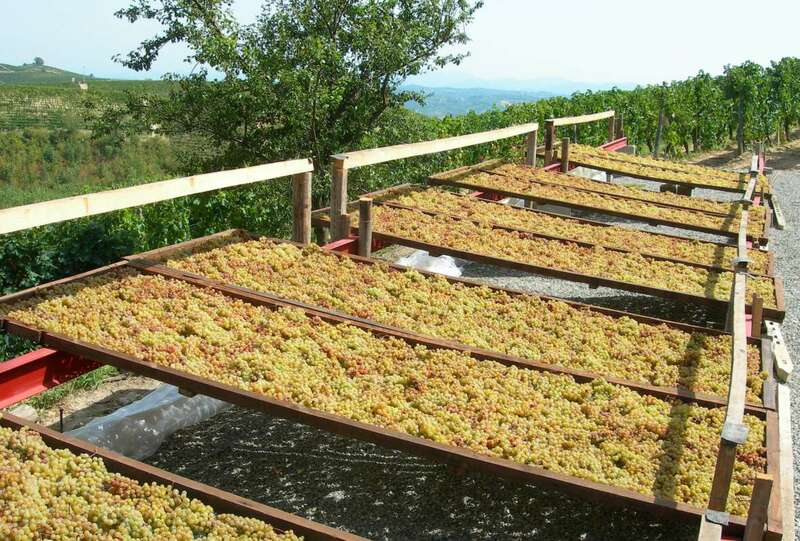 During november those grapes are squashed and lay to ferment with part of the skins cleaned from "vinaccioli" and waste. At last is bottled using bottles of little capacity (375 cc). It's always recomended a further refine in bottles, before product reaches the market. Thanks to the high quality of moscato grapes of those antique and steep vineyard, aromatic sense is combined with great balance of taste, rich but not bothersome. 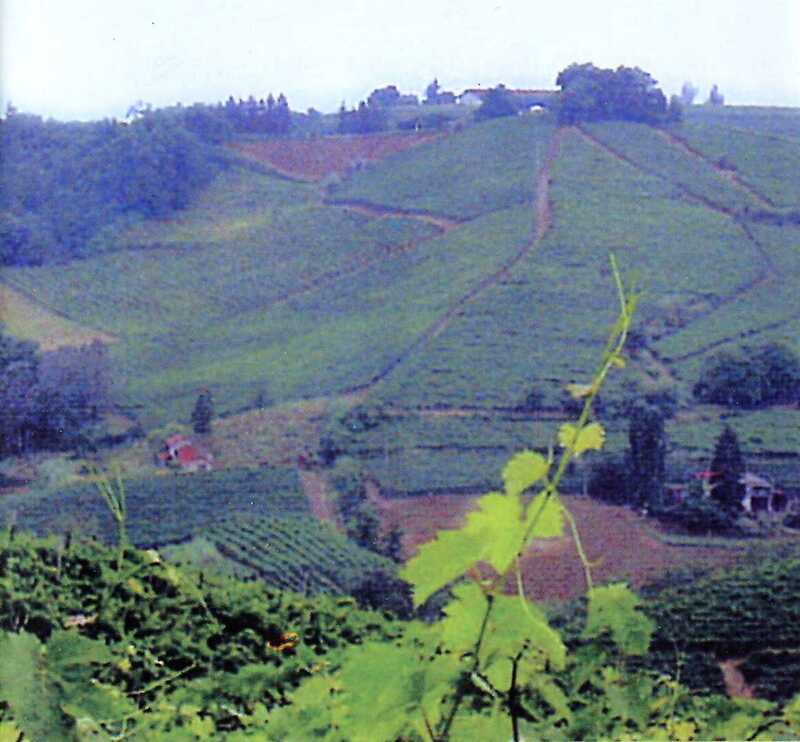 As the Presidio as been constituited, due to a precise will of Producers the "Associazione Produttori Moscato Passito della Valle Bagnario di Strevi" was created too, as an operative tool used for the promotion of the Moscato Passito and of its land of production as well. This working team was born at the beginning of september in 2004, thanks to its founders, who subscribed the Association's Statute, with the supervision of the Major and the representative of Presidio, Paolo Mascarino. Thanks to this newborn Association a big step has been done in the valorization of the Passito wine of Valle Bagnario; this product well represents inhabitants'real character and their passionate temper, that aim them to preserve and maintain its old wining technique, know in 1078 already. In 2005, thanks to the intervention of Strevi's council administration and basing on this product organization, the acknowledgement of denomination of origin for the Passito wine was asked. On the first Sunday each june, tha Association organizes the "Passeggiata Slow", a charming and relaxing walk, that leads you to discover the pleasant Moscato Passito land of production.